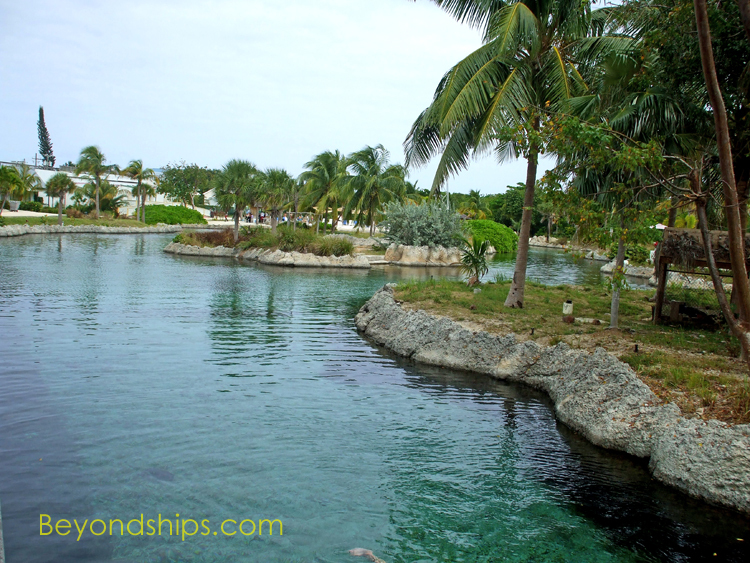 At one time Grand Cayman was home to a large population of turtles. However, over-harvesting of turtles for their meat and for their shells caused them to become endangered. 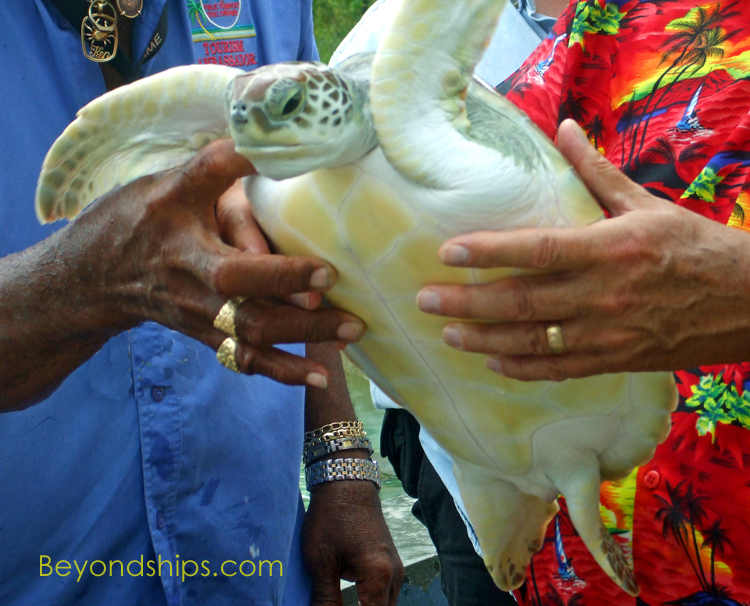 The Cayman Islands Turtle Farm was created in order to replenish the population of the Green Sea Turtle while at the same time providing a managed source of meat for the islands' inhabitants. 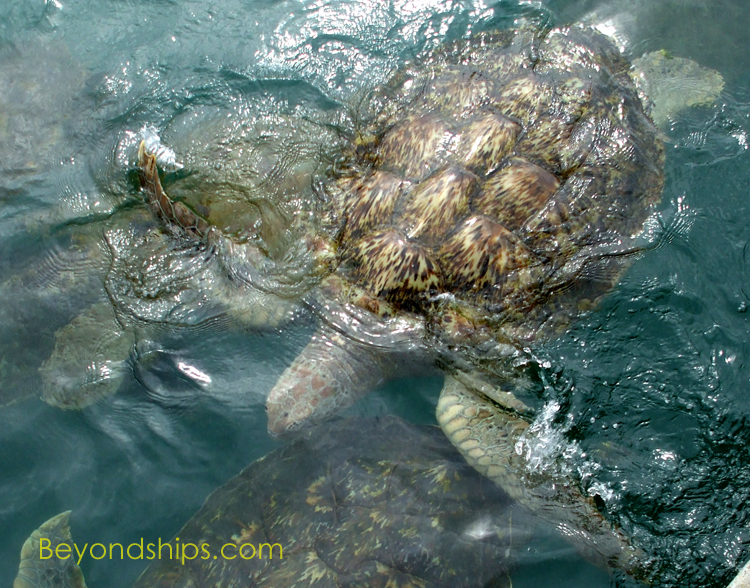 It is home to some 11,000 Green Sea Turtles. 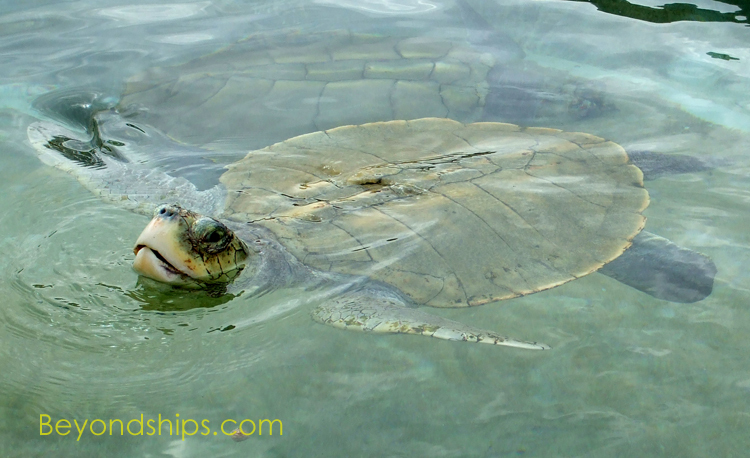 Turtles are raised in large tanks, some of which have their own beach for the turtles to lay their eggs. Guides are allowed to handle some of the younger turtles. Spanning some 23 acres, the farm also has additional tanks with sharks, eels and other sea creatures. There is also an aviary. For two legged creatures, there are also areas in which visitors can swim and snorkel (with turtles) as well as restaurants and bars. The Turtle Farm is located in the West Bay area. Shore excursions often visit this attraction. Independent cruisers will need to take a taxi or a public bus to get to the farm. 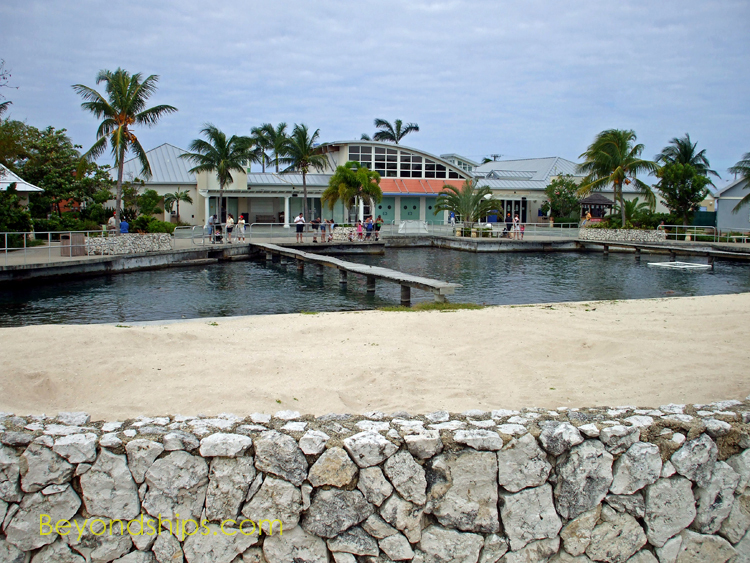 Above and below: The shopping area at Pointe Seraphine.